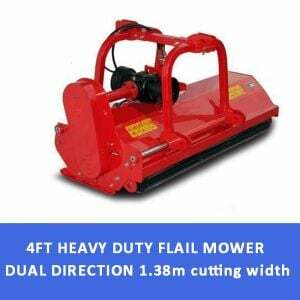 The FIEFAG220 heavy duty flail mower is designed for larger areas, roadside verges and general farm areas. 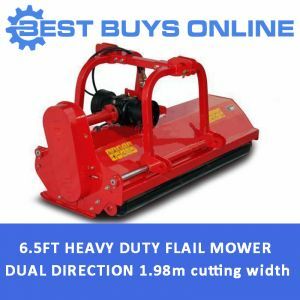 The dual direction model can be used as a rear 3 point linkage flail mower – or if your tractor has the facilities it can be run out the front using the dual direction gearbox and mount. The FIEFAG220 is fitted with hydraulic side-shift to allow the mower to cut close to field boundaries and around various obstructions. 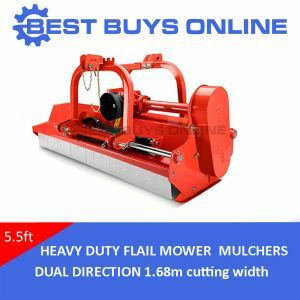 If you're needing a mower that will cut through heavy grass and scrub, then this flail mower is for you. Using your tractor's PTO and hooked up by the 3 point link, you'll find this unit great for providing a rough cut to taller grass. Best of all it will provide trouble free service for a super competitive price.